HONDA PILOT 2006-2008. Engine Air Cleaner Intake Hose 17228-RYP-A00. =================. Part# AIH551048H/1. Honda Pilot 2008 SE-L. Honda Pilot 2008 J35Z1. Honda Pilot 2008 EX-L J35A9. Honda Pilot 2006-2007. Honda Pilot 2008 Special Edition J35A9. Honda Pilot 2008 LX J35A9. Honda Pilot 2008 EX J35A9. 1x Air Intake Hose as pictured. Title: Turbo Single Fan Air Intake Fuel Saver Fan. Inset the propeller fan into the tube and slide it in. 1 x Turbine inlet gas. PILOT 2005-2006. Air Intake Hose. 2006-2008 Honda Pilot 3.5L V6 Engine. (works with Automatic and Manual Transmission). 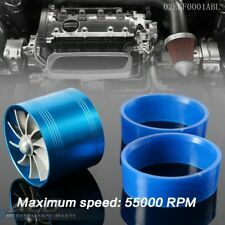 This intake kit is compatible with Intake kit will usually increase 5-8 horsepower and 5-8 Torque and fuel efficiency. The heavy duty powder coated steel heat shield included in the kit blocks out the heat from engine and maximize the cooling effect. The kit does NOT require tuning and does not trigger CEL light. No modification is required during the installation. 2006-2008 Honda Ridgeline All Model with 3.5L V6 Engine. 2006-2008 Honda Pilot All Model with 3.5L V6 Engine. Cooler air carries more oxygen, which translates into a more intense explosion in the combustion chamber to create more horsepower and torque. HONDA PILOT 2009-2015 ==============================================. Air Intake Hose & Engine Air Filter. You Are Buying After Market Premium High Quality. 2005-2006 Honda Odyssey All Model with 3.5L V6 Engine. 2006-2008 Honda Pilot All Model with 3.5L V6 Engine. 2006-2008 Honda Ridgeline All Model with 3.5L V6 Engine. 2004-2006 Acura MDX All Model with 3.5L V6 Engine. 2008 Honda Pilot EX Sport Utility 4-Door 3.5L 3471CC V6 GAS SOHC Naturally Aspirated. 2008 Honda Pilot EX-L Sport Utility 4-Door 3.5L 3471CC V6 GAS SOHC Naturally Aspirated. 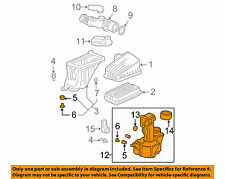 2008 Honda Pilot EXL Sport Utility 4-Door 3.5L 3471CC V6 GAS SOHC Naturally Aspirated. Pilot's Cold Air Intake provides your vehicle with a performance boost and a bit of attitude. Along with this increase in power is a noticeable throaty growl. Includes a washable, reusable filter. Includes instructions and all hardware. 05-06 Acura MDX. 05 Honda Pilot 3.5L.